If you don’t know already I am Italian, at least 75% I like to tell my kids. We have a pasta night at least once a week . 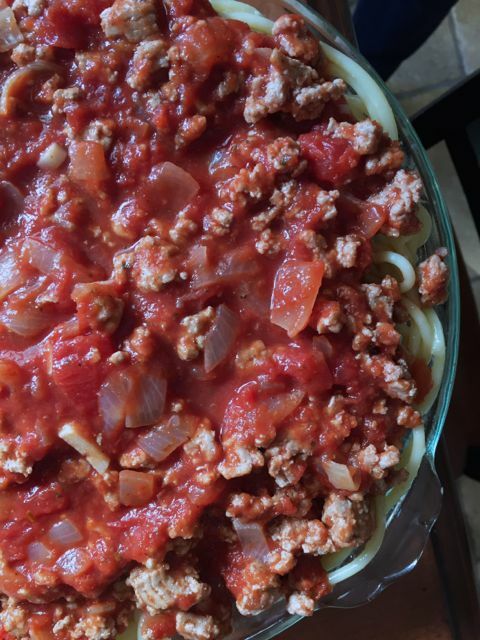 But don’t get me wrong, while I love making homemade pasta sauce, I rarely do when it comes to a baked pasta dish. I have used several different kinds and recently saw the selection of Ragu pasta sauces and decided to experiment with it. While I have made a dozen baked Lasagnas before, I have never made anything like this before. I guess Spaghetti pie can be considered a lazy lasagna. I thought I would give it a try and it was also something I could make probably up to a day ahead and bake for dinner. When writing this post, made it earlier the same day and then baked it at dinner. You could even make two, one for dinner and one for the freezer just don’t bake it. If you make it the day before, just be sure to take it out and sit at room temperature for 30 minutes before baking. 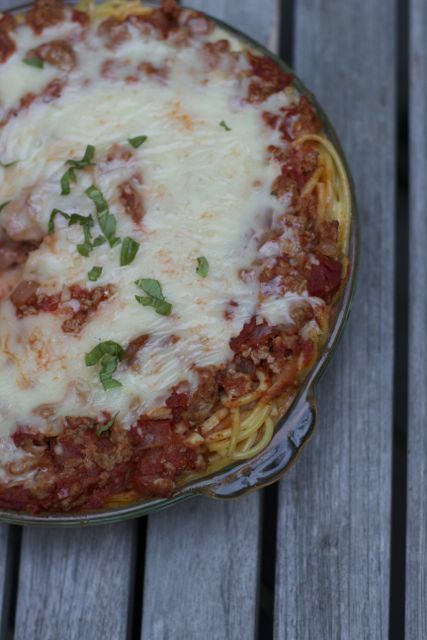 The base of the spaghetti pie starts with a crust of buttered spaghetti. 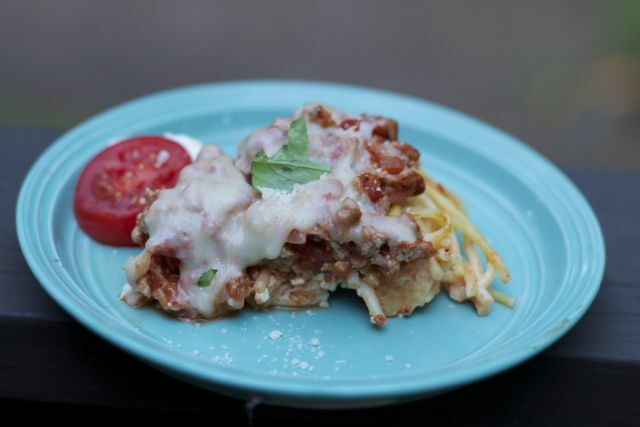 Then you start layering the flavors of this spaghetti pie recipe. 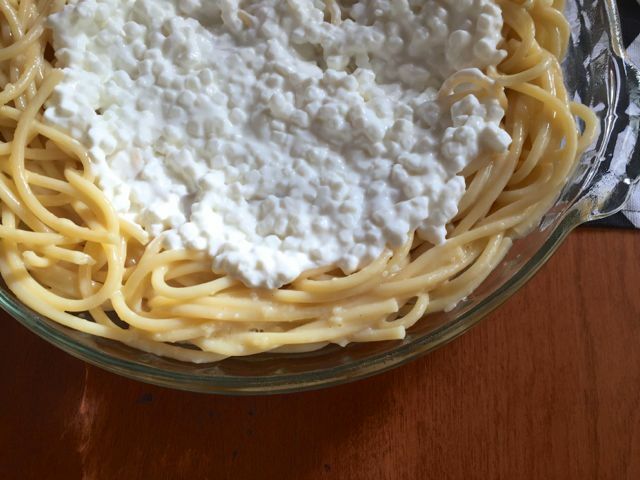 I used cottage cheese as I have one child that does not like ricotta but definitely prefer ricotta. 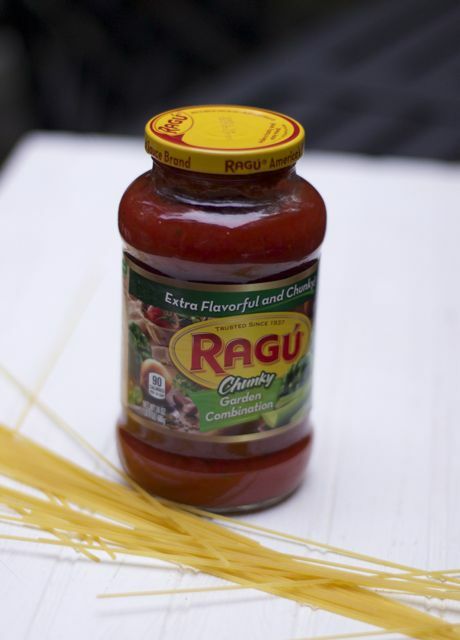 Ragu is made from a recipe of Assunta, someone from an Italian Heritage and Ragu’s Commitment to keep Assunta’s High Standards. I would use Italian sausage instead of ground meat. Turkey Sausage is one of our favorites. Top it with cheese if you are going to freeze it so you don’t forget to have cheese available when you are ready to cook it. I just covered the pie for the first 20 minutes and then uncovered for the final 10 minutes of baking. With little effort you have a very flavorful Italian dish the whole family will love. 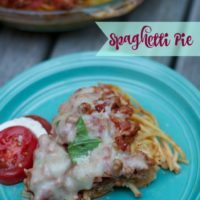 Have you ever tried Spaghetti Pie? What flavor variety of Ragu would you use in this recipe? *or substitute: 1 Jar of Ragu Spaghetti sauce I use a simple tomato and basil. You can add 1/4 cup of water to the jar once emptied to get remainder out of the jar and dilute the sauce. Cook and drain spaghetti. 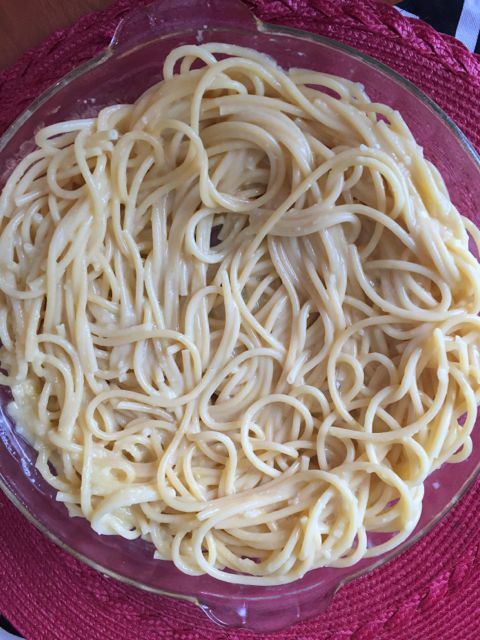 Stir in margarine, parmesan cheese and eggs, while spaghetti is hot. 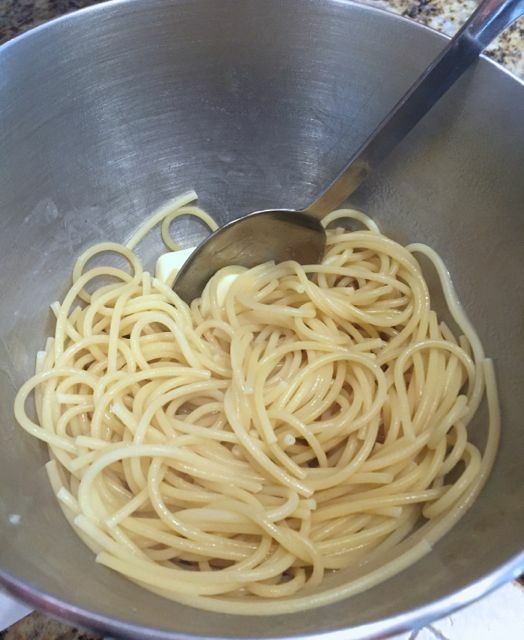 Form spaghetti mixture into a crust in a buttered 10 inch pie plate. In a skillet cook the beef, onion, green pepper and garlic. Drain off the fat and stir in the undrained tomatoes, tomato paste, sugar and oregano or the jar of spaghetti sauce. Add the tomato sauce and season as desired with oregano and basil. Heat through. Mix parsley and salt and pepper with cottage cheese together. Spread cottage cheese over the spaghetti crust then pour in the beef and tomato mixture. Make sure to cover all the noodles or they will dry out in the cooking process. If you are preparing ahead, let the pie cool slightly, cover and place in Fridge. TAKE OUT 30 minutes before baking. Bake at 350 degrees F for 20 minutes. 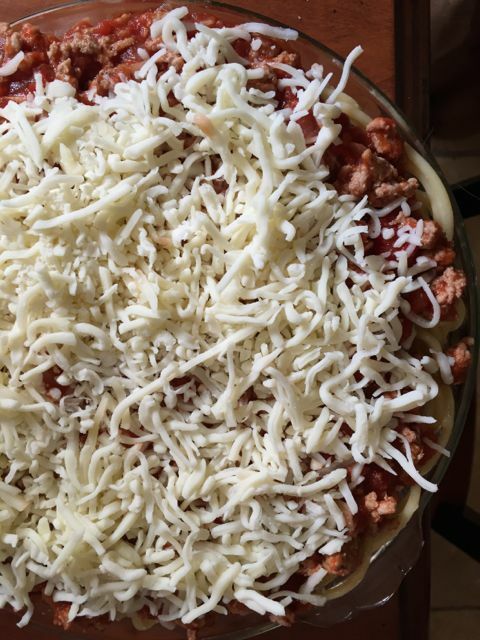 Sprinkle mozzarella or provolone cheese over the top of the pie then bake for 5 minutes longer, until cheese melts. I ended up baking it and then placing it into our warming drawer. You must cover it or it will dry out on the edges. You can make this low fat by using lean meats and low fat cheeses. 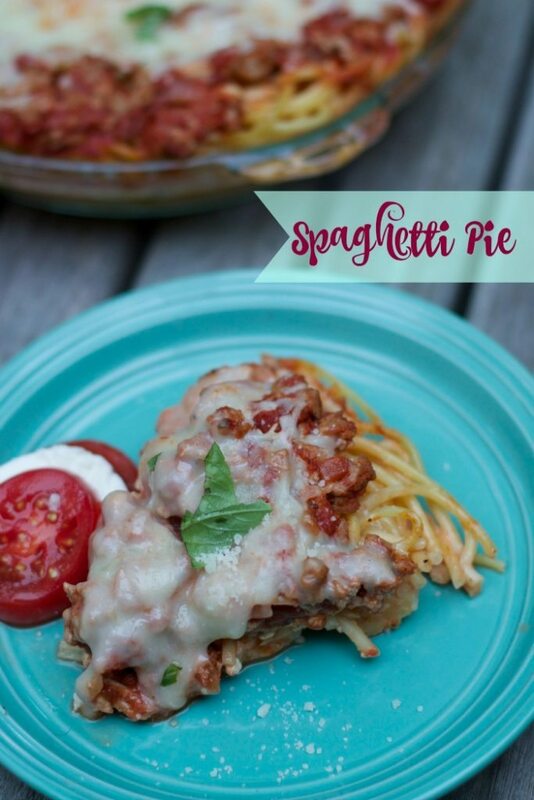 I’ve never had spaghetti pie before, but it sounds like something I would thoroughly enjoy! Thanks so much for the recipe! This looks delicious and super easy to make. I think it would be perfect for a weeknight meal!